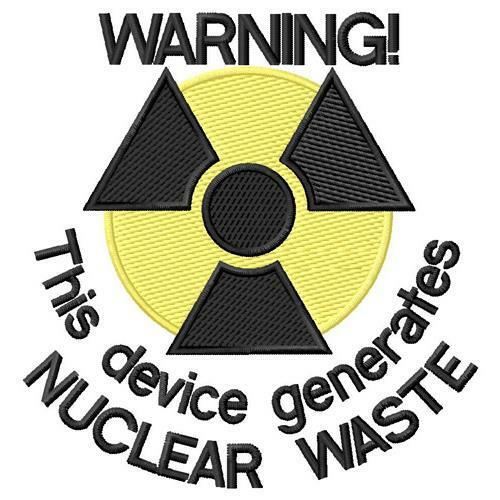 Warning Nuclear Waste - 3 Sizes! Funny for baby or boy projects. Finish Size 3.50" x 3.67"
Finish Size 7.00" x 7.35"
Finish Size 10.46" x 10.97"